Bought a new smartphone or want to check on the old smartphone matrix display? In this program you can test your LCD screen for the presence of dead / broken pixels and repair it. You can detect any stuck or dead pixel on your LCD screen. Defective pixels – are pixels on a liquid crystal display (LCD) that are not performing as expected. If you detect any stuck or dead pixels you will be able to try to cure them. Provide easy way to fix the stuck pixel. 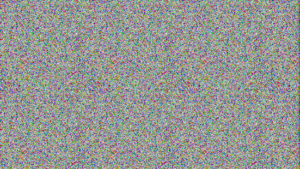 The program will try to use different means for the treatment of stuck pixels. Also works for screen burn-in. Start and wait on the smartphone or tablet this app until the dead pixel or stuck pixel has been repaired or unstuck. Phantoms are a partial manifestation of a static image (burnout) of the matrix. The application also copes well with the treatment of such problems. 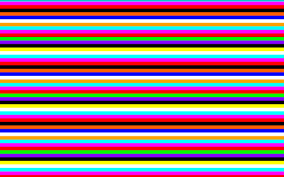 Dead pixel is stuck point or several points of the matrix screen, which does not properly reflect the color. Sometimes they are almost invisible, and you can be the owner of them without even noticing it. There are several treatments for dead pixels screen. Mechanical – physical impact directly on the affected area and a soft-that and it has me. We strongly recommend not to use the first method is for advanced users, as it is dangerous for the screen matrix. The program works on all screen resolutions, and is suitable for both phone and tablet with a high resolution. The program can repair: Partial sub-pixel defects, Stuck sub-pixels, Dead or Broken (bad) pixels, Stuck versus dead pixels, Dark dot defects, Bright dot defects, phantoms (matrix burnup). If within a few hours of program works the pixels is not revived, so they can not be brought back to life in this way – contact the service center. Fix your screen with this programm.